Music System acts a Life to Car. Having a good music system with Fine Sound Quality not only refreshes the mood, but also increases the interior aesthetics and styling of the car. » Size of System : Basically, DIN Represent Size of music system. 1 Din Implies Standard :- 7 Inch Length * 2 Inch Height while 2 Din implies - 7 Inch Length * 4 Inch Height - which is the prime difference. 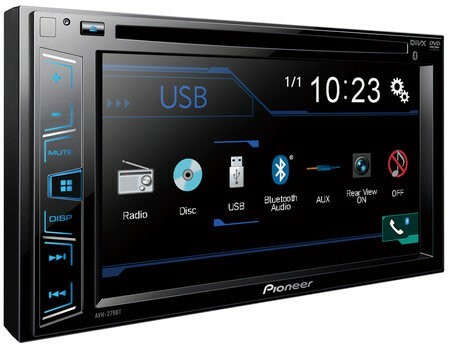 » Functions - A 2 Din Player - due to bigger size can have slight more features and functions list and is easily scalable with many more features like - Bluetooth, Aux USB, CD Player, DVD Player vis a vis 1 Din CD Player. A Common Myth Spread by Sellers - Difference in Sound Quality in 2 Din is better as against 1 Din. Its to be known that 2 Din System has higher Features like Treble Controls, Amplifier, Bass helps in customizing Sound - but Quality remains more or less similar. » Coaxial Speakers : Are Probably the speakers which are common in Factory Fitted Music System in most of Cars. Capable of producing multiple frequency, as have very small Tweeter with Mid Range Woofer system installed in Speaker itself - it tries to do job of Speakers, Tweeters and Woofers - as Jack of All by producing good all frequencies (high, mid, low) from the speaker itself with good sound quality. Tweeter : Useful in Loud Music, where Tweeter produce high end sound frequency transforming into crystal clear sound. Generally Very Small in Size and uses for increasing finesse of sound quality. Most Important aspect of buying Speakers is Frequency Range. With a wide range from low output to high output - Speakers deliver crystal clear sound quality. » AVN System with Navigator - Rs. 25,000 to 50,000. Note: Price Varies basis Features, Functions supported by Head Unit - Like Bluetooth, USB, Aux, Ipod etc. Speaker Cost Additional and above is estimated cost of Head-Unit Systems only. Kindly suggest a good pair of co axial speakers (max.budget Rs.5000)for my pioneer DEH-S1090UB..
Great post. Really loved it. Keep up the great work.